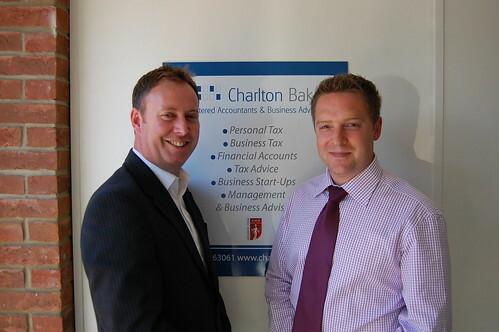 Many Wiltshire businesses aren’t sure what to do when VAT is increased in the New Year, according to Marlborough- and Devizes-based chartered accountants Charlton Baker. The rate will be increased from 17.5 per cent to 20 percent on Tuesday, January 4 – the third change to the rate of VAT in three years. But, say accountants Scott Sartin and Philip Evans, who have issued a set of simple guidelines, VAT can be an accounting minefield for small businesses – and the increase may cause confusion. “For any sales of standard-rated goods or services that businesses make on or after January 4, they must charge VAT at the 20 per cent rate,” says Scott. “Retailers must use the 20 per cent rate for all takings they receive on or after January 4. “But if a customer pays on or after January 4 for something they have taken away, or the business delivers, before January 4, the sale is deemed to have taken place before January 4 and the 17.5 per cent rate should be applied. Meanwhile, customers who are not VAT registered can avoid the VAT hike by buying expensive goods – for example, a new computer – before January 4. And businesses that are currently registered for VAT but are near the VAT de-registration threshold of £68,000, might consider de-registering, to gain a competitive edge. “If you are selling goods or services to members of the public, who are not VAT registered, rather than selling to other businesses, who will claim the VAT back anyway, then offering VAT-free services or goods can make you up to 20 percent cheaper than your competitors,” points out Philip. “This could be a real selling point, but the business owner will need to reassess their margins accordingly, as they will not be able reclaim the VAT on business purchases any more”. Businesses looking for help in navigating the accounting minefield of VAT should log on to www.charltonbaker.co.uk or contact the firm on 01672 563061.